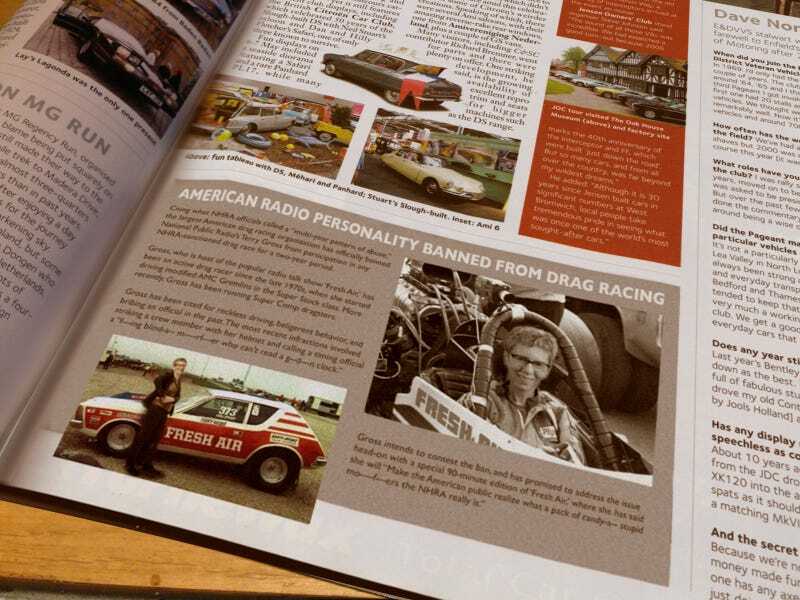 Remember that time Terry Gross from NPR’s Fresh Air got banned from drag racing? Me either. Maybe I made it up? Who can say. UPDATE: To be very clear, yes, this is a joke. I made it up, because I thought it was fun and absurd. Someone’s already changed Terry Gross’ Wiki page. To be clear, THE HOST OF FRESH AIR DOES NOT HAVE A PAST IN DRAG RACING. I’m amazed anyone would think this is real. I’m pretty sure Terry Gross would be a much better sport than this.